A metro ride in the heart of the capital is something that a lot of people might just dream about, but for me, it has become something like having a cup of tea every morning and evening. I am a regular passenger who board DM to and from my workplace and therefore, get to see both the under and above the ground experience. It definitely was a novelty when it all started and it still is most of the time with the comfort that it provides that one can't find in other modes of transport, sometimes not even a flight. The metro station that I board from is Hauz Khas but depending on the time I've got to squeeze in my morning routine, it could be Malviya Nagar or Chattarpur. However, most of the times, it is either Hauz Khas or Malviya Nagar. The station is quite similar at both these places, in its structure, map, security and boarding in locations. Nowl, even if I close my eyes as I get into the station I would reach my destination without much struggle and that is something the metro guys have consciously tried to create, with its similar formats across locations. It is however, a little challenging for the first timers. The token system, security check of bags and body separately, is something that one doesn't generally find in the simple life of a common man, and that itself is something that goes to make it a memorable experience in the life of a common Delhite. However, it is such a good thing to build in the sense of discipline, security awareness at all levels that I feel it just goes into the psyche of the public that it is important and would take care of these things then automatically at even a sub-conscious level. Another important and successfully implemented system that I appreciate as a female passenger on Delhi Metro is the dedicated compartment reserved for ladies. In the high traffic peak timings, when even getting into the metro is difficult, and you are standing at the station wondering what to do, it becomes all the more important. With the Indian male psyche that’s quite keen to take advantage of such situations, having a separate bogie for ladies where they are assured they won't be felt and squeezed by the other gender is such a relief. The one big differentiated comfort factor that I have associated with the metro over the other public transport system of the city is the quick intervals in which the next bulletin comes in. So, if I would have been heavy hearted to leave a bus which was crowded earlier, I don't have such qualms in leaving one or even the second metro if I find it is slightly over-crowded. The quick succession with which the metros ply has taken off the worry from the brows of the passengers that they might get unnecessarily delayed to reach their destination. Once inside the cool comforts of the metro rail, one can literally take time to cool off ! 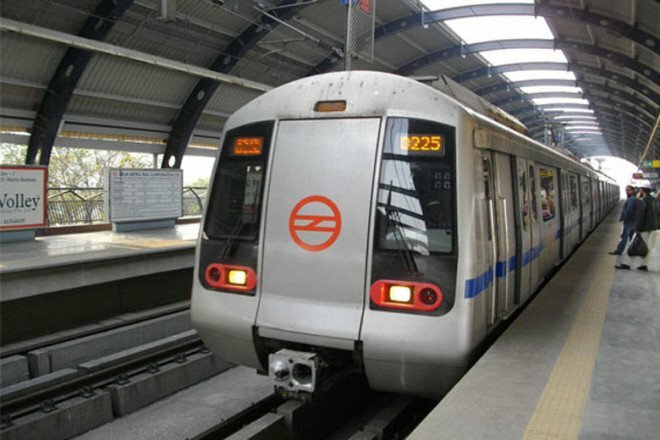 The air-conditioned cocoon that the metro ride provides is something that every Delhite who travel on these would be thanking the Gods who made Metro possible. Inside this cool and comfortable haven, you could enagage in stuff that you r really interested in. Like I have seen people munching on their food, reading books, newspapers, college going kids busy with their books and pencils, the corporate honchos with their laptops on, and most of them with their ears plugged with a pair of wires hanging from their sides engrossed in music or whatever they r listening to. This is actually a good time to catch up with friends and family outside or even getting online with your clients to close important deals. One has to try very hard not to hear the friends chatting, colleagues bitching about their bosses and companies, in-laws and whoever is making their lives hell. There are some religious ones who are just mumbling their prayers or simply close their eyes and doze off. If you really don’t have much to do then there is enough opportunity to ogle and size up the variety of specimens inside the cabin and wonder why they were made like. When the tube comes out of the tunnel into the sunlit reality of the world, one gets a really elevated look at the earth you stay in. One can actually see how the trees look from above, spread in vast expanse like a meadow above the ground. Actually it is a better view than the aircraft as you have an aerial view it’s close enough to enjoy the detail, the greenness, the birds and parrots flying off from one branch to the other. The route to Gurgaon is quite scenic and beautiful with lots of greenery interspersed with farmhouses, farmlands, villages converted to mini concrete clusters, high rise buildings and buildings that are falling off from the middle.